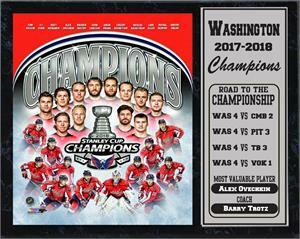 Celebrate the Washington Capitals victory with our 2018 Stat Plaque. 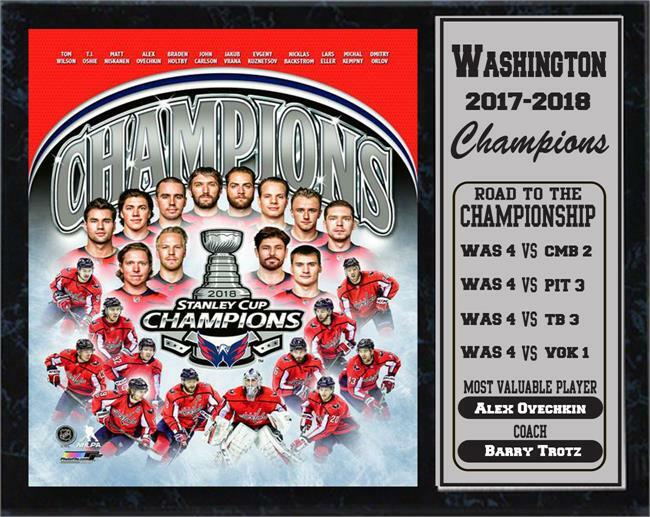 Featuring a Officially Licensed 8x10 photo with a Metal Nameplate. Both pieces are installed on a 12x15 wooden plaque and ready to display in your home!